The Account Funds plugin makes it easy for customers to quickly deposit money into their accounts. Better than that, it offers perks to customers for taking this step. It works like this: a customer deposits money into her account attached to your online store. The next time she makes a purchase, she can opt to use the money in her account funds to pay for the order. And therein lies the perk – the customer can be offered a discount for using the pay from Account Funds option. The benefits of this plugin are numerous. For starters, getting customers to deposit money into an account with you means that money can no longer be spent on anything else. It can’t be used on a competitor’s products at the last minute. The customer has allotted those funds for use with your company. That’s a pretty sweet deal right there. Why would someone deposit money into a store account preemptively like this? For the promise of a discount, of course! It works like a charm, too. Some customers might deposit very near what they want to spend in order to get that discount, but others may very well deposit larger amounts, which they’ll reserve for future purchases with you. Another perk to customers when you use this plugin is instant order processing. By giving these customers preferential treatment, you show that you value them and are willing to go the extra mile to make them happy. And on your side of things, you can view detailed reports on how many deposits have been made and for how much money. Another great plugin to check out is called Follow up Emails. This is truly the ultimate tool for email marketers. With this plugin – which is completely integrated into WooCommerce – you can create high-quality email templates for sending emails directly to your customers. Once set up, it can be completely automated, giving you the freedom to work on other aspects of your business while still reaping the rewards of a well-crafted email marketing strategy. The emails you create can be completely targeted to your customers, giving them the sense that you really care and value their patronage. Just set up a schedule and let it fly. What’s really great is you can manage it all from within WooCommerce – no need to even open your email. To further improve upon customer loyalty, you can integrate coupons into your emails. This will help get customers back to your site and convert. It’s an ideal plugin to use following a purchase. You can easily make it so your customers receive an auto-responder right after or a few days after making a purchase to help keep them aware of your brand. What better way to let customers promote your brand for you than through the creation of wishlists? That’s where WooCommerce Wishlists comes in. This plugin lets both guests and current customers add products to Wishlists to refer back to later. They can also send these lists to family and friends via email or on social networks. This improves customer loyalty because you’re asking customers to save products to view again later. This automatically promotes return visits. And a few specs, for those interested in that sort of thing. 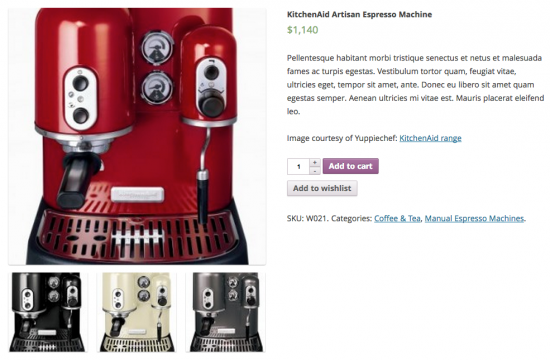 WooCommerce Wishlists saves a guest’s list for up to 30 days and a customer’s indefinitely. It offers full privacy control, social media sharing, notifications of the presence of an item in your wish list when you navigate to that specific product page, customizable “Add to Wishlist” text, and more. With easy customization and a robust admin view, this plugin is a must-have for improving customer loyalty. Want to get more reviews for your e-commerce site? You can’t go wrong with the Review for Discount plugin. You can easily create new coupons designed specifically for customers who have recently purchased a product from you. The coupon code is generated automatically at checkout and when a customer reviews an item, promoting repeat purchases and increased customer loyalty. 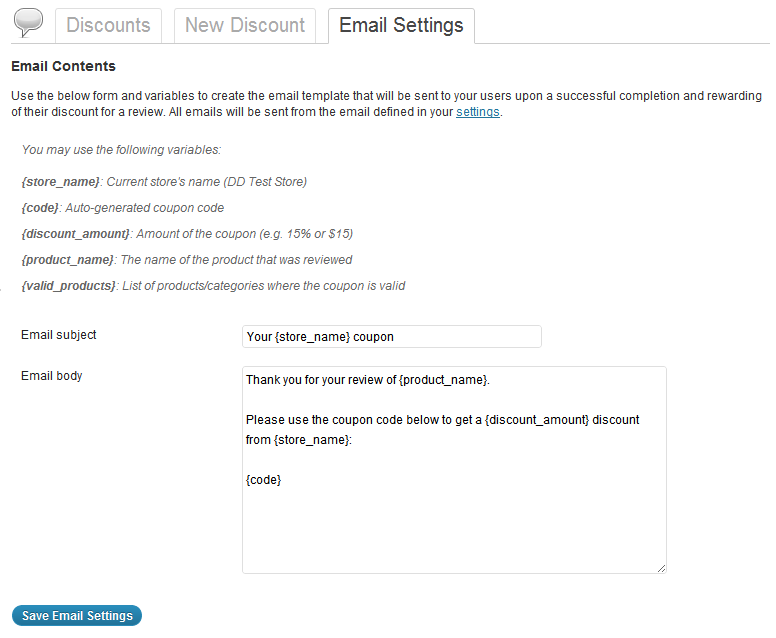 You can also customize the email template that goes along with the coupon code to help encourage the upsell. Personalization is always key, so the more personality you can infuse into your emails and communications, the better. Besides, generating a new customer is really difficult. That’s why it’s so important to focus your efforts on generating repeat customers who remain loyal to your brand for years to come. The last plugin I’m going to talk about here today is called Dynamic Pricing. If you need to make sweeping discounts or price changes across your entire store, this plugin is the perfect choice. It can come in really handy when you want to run a promotion designed to offer reduced prices on a large number of your products – you know, like for Cyber Monday or something. Nothing boosts customers loyalty quite like sales, after all. Within Advanced Product Pricing, you can select from fixed price adjustments, percentage adjustments, or you can set a fixed price for a specific product. It’s up to you, and that’s sort of the whole point. This is beneficial if you need to apply specific rules for when a discount should apply. For instance, you might want to offer 15% off a product when a customer buys three or more of that item. Another option is Advanced Category Pricing, which lets you set bulk discounts for product categories. Using the example mentioned above, the 15% discount would apply in this case on all items within a product category when the customer buys three or more items from that category. 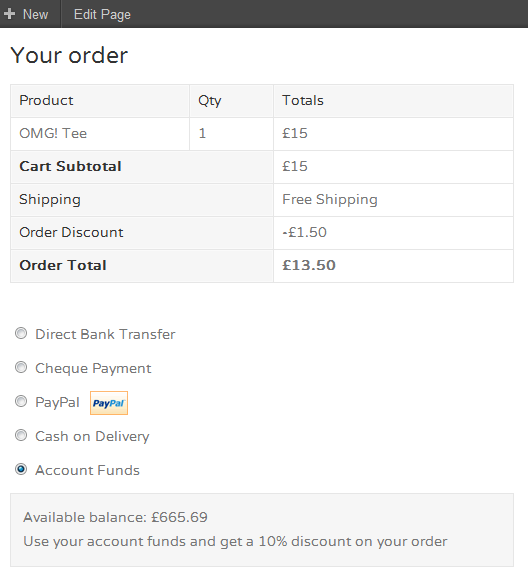 The third option is Simple Category Pricing, which lets you set a discount across an entire category. So, all books are listed at 20% off. The fourth and final option included in this plugin is called Simple Role Based Pricing. This works if you have memberships for your best customers. So, any customer with “Premier” status or some such would get a 15% discount across the board, for example. To build a successful business, online or otherwise, you need loyal customers. They are the backbone on which you can grow and thrive. But to get more customers on your side, you need to go above and beyond sometimes to provide what they need and more. By demonstrating that you care about your customers’ shopping experience, and that you want to reward them for it, you’re much more likely to create customers who will be loyal to your brand for life. Have you used any of these plugins? If so, I’d love to hear your experiences with them in the comments.